A Pakistani asylum-seeker has been detained by authorities. The man denies any involvement in the attack, and police are not entirely certain that he was the driver of the truck that killed 12 people. A Christmas market in central Berlin is seen on Tuesday, a day after a truck smashed into the market, killing 12 people and injuring dozens more. 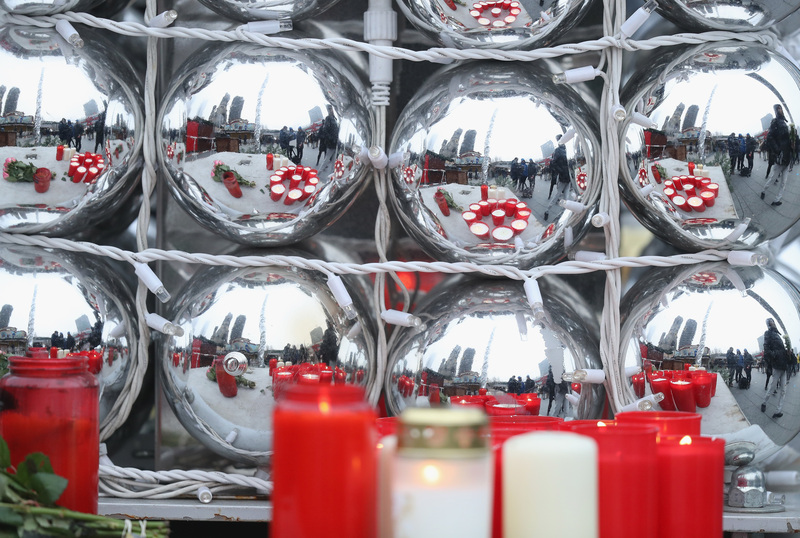 A suspect is in custody a day after a truck attack on a Christmas market in Berlin killed 12 people and wounded 48 more, including some with severe injuries — but authorities are casting doubt on whether they have the right person. The suspect denies involvement, and police officials said at a press conference on Tuesday that they are not entirely certain the man in custody was the person driving the truck during the crash. Another man, found inside the truck with a gunshot wound, has died. There have been no further arrests, authorities said. On Twitter, the Berlin police said that because the “temporary arrested suspect” denied the charges, they are on particularly high alert. “Please also be alert,” they told Berlin residents. There is “no doubt” the crash on Monday was an intentional attack, German Interior Minister Thomas de Maiziere said at a press conference Tuesday. Chancellor Angela Merkel had previously said authorities “must assume” the attack was an act of terrorism. De Maiziere identified the detained suspect as a Pakistani asylum-seeker whose application for asylum had not been fully processed. He was “known to authorities” but not suspected of having any ties to terrorism, the interior minister said. The Associated Press reports that the suspect was arrested about a mile and a half from the crash site. “But Merkel, who has been criticized for allowing in large numbers of migrants, addressed head-on the possibility that an asylum-seeker was responsible. Merkel was expected to visit the site of the attack later on Tuesday. The victims of the attack included a Polish citizen found in the truck, who appeared to have been shot and died of his injuries, officials said; the weapon has not been found. The owner of a Polish trucking company told a German broadcaster he had identified the man to police as the truck’s original driver, and the first apparent victim of the attack, the AP reports. “His face was swollen and bloodied. It was really clear that he was fighting for his life,” trucking company owner Ariel Zurawski told TVN, according to an AP translation. 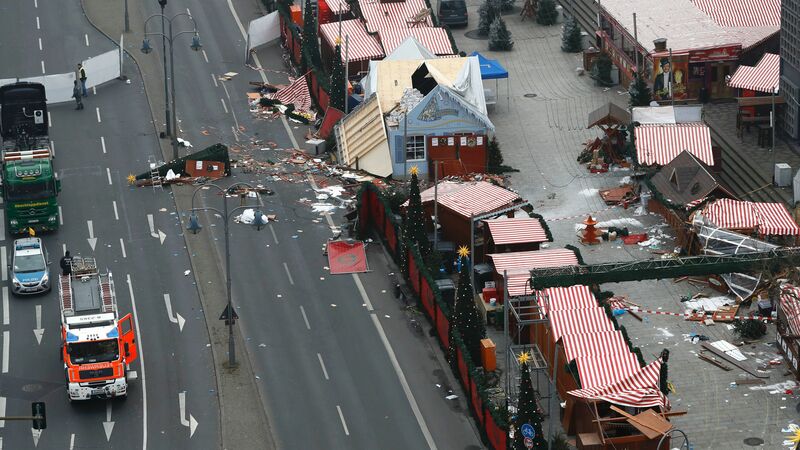 De Maiziere said that the market in Berlin will be closed on Tuesday out of respect for the victims and their families, but that other Christmas markets in Germany will continue to operate as planned. Officials say security — already heightened at the markets — will be beefed up even more. The interior senator for the state of Berlin also said Tuesday that New Year’s celebrations in Berlin are going to continue as scheduled.